TL;DR: The Spencers Creek¹ peak snow depth for 2017 will be 163 ± 44 cm. The parameters are explained in the notes at the end. Click on the graphs for sources. It’s 2017, so take off yet another centimetre². Eventually there will be none left. We need the winter average — the “3-month running mean” to the end of August. After a fairly strong negative phase (good for our snow), it looks like we’re headed back positive again. Note that there is a long term global warming uptrend in this parameter. I’m going with +0.5. I don’t think there’s going to be a winter El Niño this year. I’m adopting a winter average SOI of -5, which is negative for our snow but not by much. 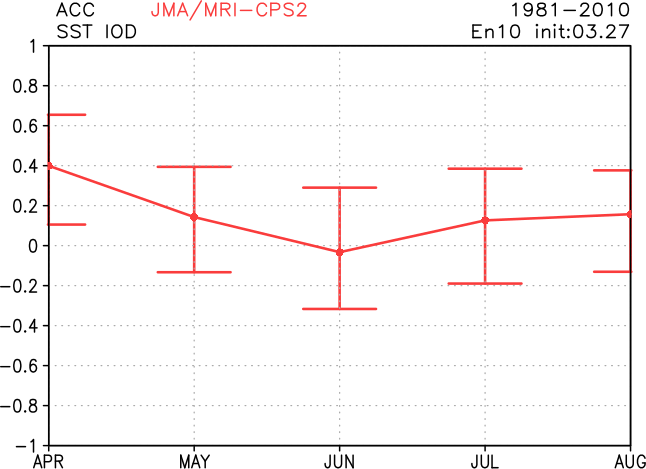 It seems there’s some chance of a strongly positive IOD this winter, which would be negative for our snow. I’m not in that camp; I’m adopting a neutral 0.0. My model uses the two year average to the end of winter. The PDO seems to be firmly in positive mode, after the 2-year average made it to +1.7 last year, a record for our snow depth measurement era. The average from September 2015 to March 2017 has been +1.4, which is what I’m adopting. That is a bit negative for our snow. The trend in sea surface temperatures in our area of interest is relentless, and the correlation of that with our season peak snow depth is the strongest of the lot. One degree Celsius rise in local sea surface temperature loses us about a metre of expected peak snow depth. So it’s warm in the Tasman but not in the Great Australian Bight, which is a standard pattern now, presumably reflecting an established mode shift since the reference interval. 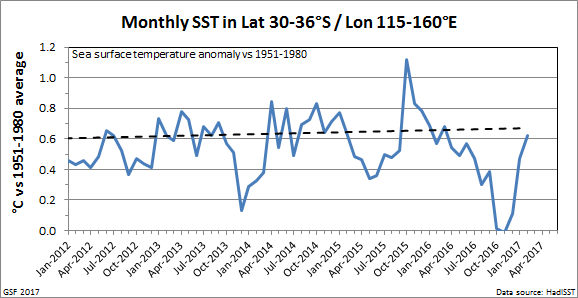 I think the chances are our local SST anomalies will still be a little below trend this winter, which remains strongly negative for our snow, just not as negative as might be. 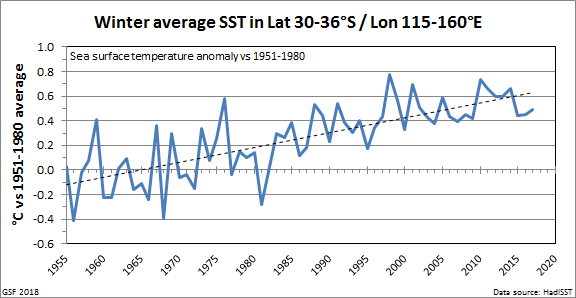 I’m adopting a winter average SST of +0.6°C vs the 1951-1980 average (detrended about 2015). Optical thickness is the negative log of transmission, so the left panel is an inverted view. The right panel is a direct stratospheric aerosol measurement by laser probing (LIDAR). I’m adopting 0.003, the same as last year. In the mark-IV model, those seven parameters give a 2017 best-estimate peak snow depth of 163 cm — which is far from great but better than a kick up the… The one standard deviation (‘±1σ’) error is 44 cm as before, so the range 119 – 207 cm would be expected to include about two-thirds of likely outcomes, if the parameters were perfectly known (which they certainly aren’t!). The estimated chance that the peak depth will exceed 2 metres is about 20%. Spencers Creek near Charlotte Pass, NSW, Australia, midway between Perisher Valley and Thredbo; data courtesy Snowy Hydro Limited. The raw downtrend is now about 0.8 cm/yr when forced to linear, or nearer 1.3 cm/yr allowing for the non-linearity. Only 0.3 cm/yr of that appears in the calendar year term of the prediction model, because it’s a linear model and because there are global warming trends in some of the other parameters. Antarctic oscillation (AAO), also called “southern annular mode” or SAM, is a measure of how tightly the circumpolar winds (“polar vortex” in one usage) blow around the pole. A loose pattern (negative AAO) leads to more polar storms reaching southern Australia, and more snow. The winter average AAO is used — the average of June, July and August. Southern oscillation index (SOI) is the difference between Tahiti and Darwin surface atmospheric pressure expressed as monthly standard deviations times ten. SOI is an indicator of the El Niño Southern Oscillation (ENSO), an east-west quasicycle in equatorial Pacific Ocean surface temperature and wind patterns which correlates with precipitation across much of Australia, including with alpine snow. A positive SOI is associated with more (and wetter) Australian snow. The winter average is used. Indian ocean dipole (IOD) is an ENSO-like variation in the smaller Indian Ocean, which correlates with winter precipitation across southern Australia, including with alpine snow. Negative IOD is associated with more snow (the sign is consistent with SOI, but we’re on the opposite side of the Indian Ocean). The winter average is used. 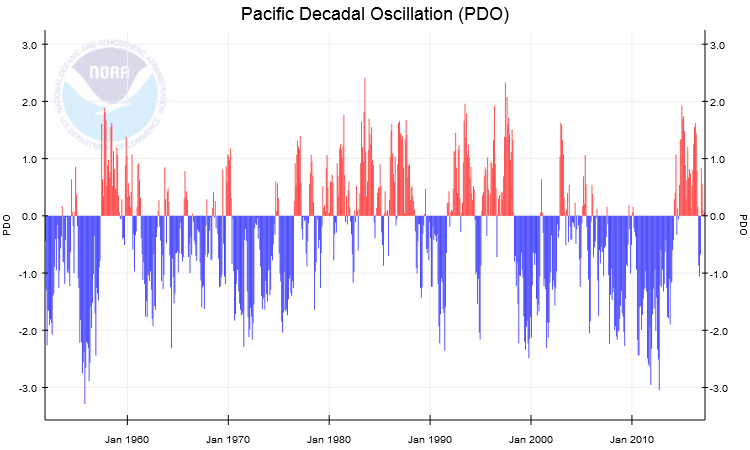 Pacific decadal oscillation (PDO) is a long-cycle, largely north-south variation in the Pacific Ocean, which interacts with (and perhaps partially mediates) ENSO. 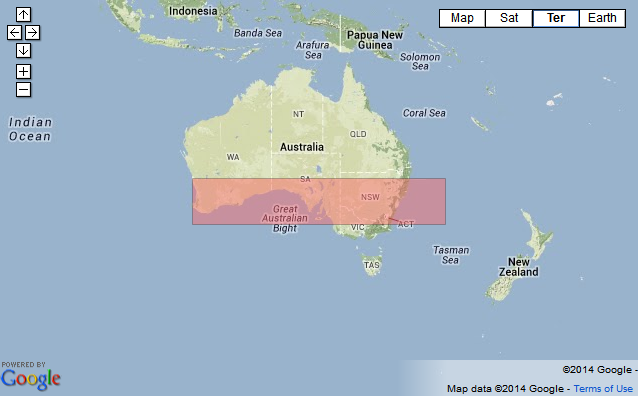 Negative long-average PDO is weakly correlated with more Australian snow. The 2-year average to August is used. Stratospheric aerosol optical thickness is the average for the Southern Hemisphere at 550 nm wavelength (green visible light). Large optical thicknesses from big volcanic eruptions correlate with big snow seasons. The winter average is used. More at my post here.